Cheerful Maxi & Mini set, made with our ' Flowers & Insects ' Print. The set consists of a cheerful, trendy cotton shopper and a children's backpack. 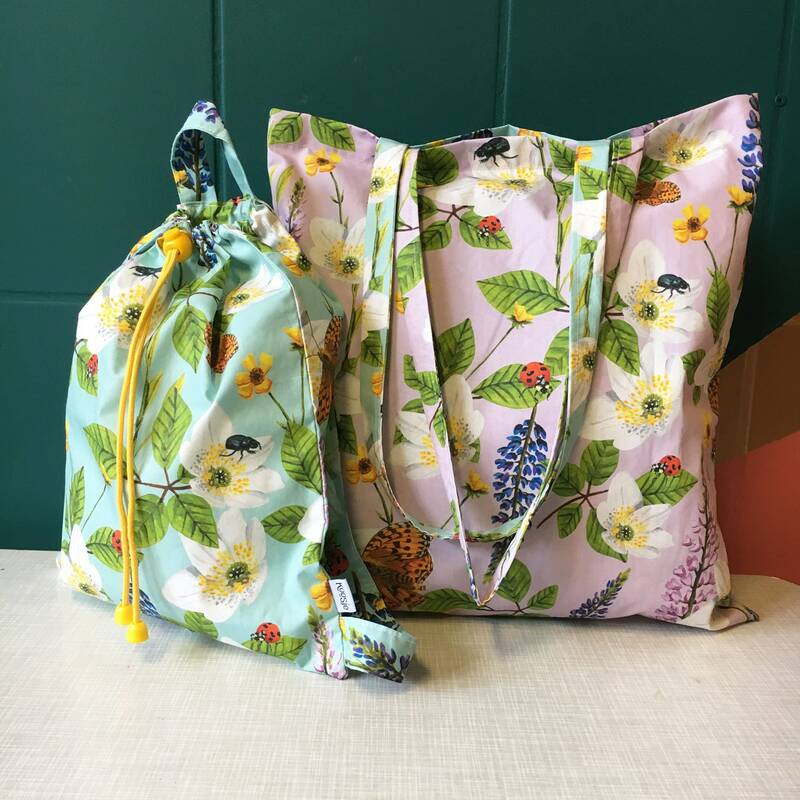 How much fun is it to go along with your mini-me on the road with both your own bag, but in the same print! Ideal to take with you during a day out, a message, gym or work. This bag can also be folded very small, and take with you as an extra bag. There Is a lot to fit in! The Children's backpack has the perfect fit on your child's back. Fun for a day on the road, child care, lodging etc. The Shopper is on one side lilac and on the other side blue. The Children's backpack is made of the same blue fabric. These unique bags have been conceived and made with great care and attention. They are handmade. The illustrations you see on the PCB are hand-painted by us. • The bags are made of a good quality 100% cotton. • Very sharp, beautiful print.